Also of our dear father George Henry Smith died Aug 24th 1918 aged 66. Also L G Ransford aged 81 years and V A Ransford aged 86 years. 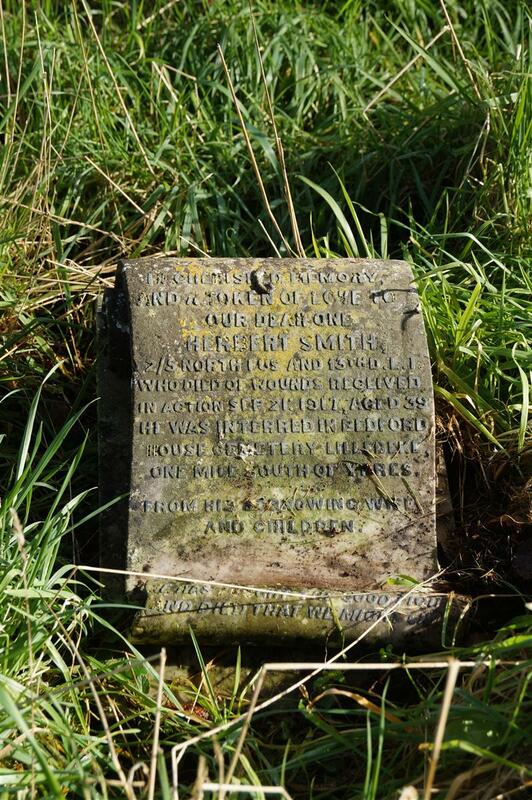 In cherished memory and a token of love to our dear one Herbert Smith 2/5 North Fus & 13th DLI who died of wounds received in action Sept 21 1917 aged 39. He was interred at Bedford House Cemetery, Lillebeke one mile north of Ypres. From his sorrowing wife and children. "He fought the good fight and died that we might live."